Can you guys believe it's already the LAST FRIDAY in January?! Holy smokes - this month has flown by! Or is it just me? Today's recipe is one that I found a long time ago... and I'd been wanting to make it ever since but never had. 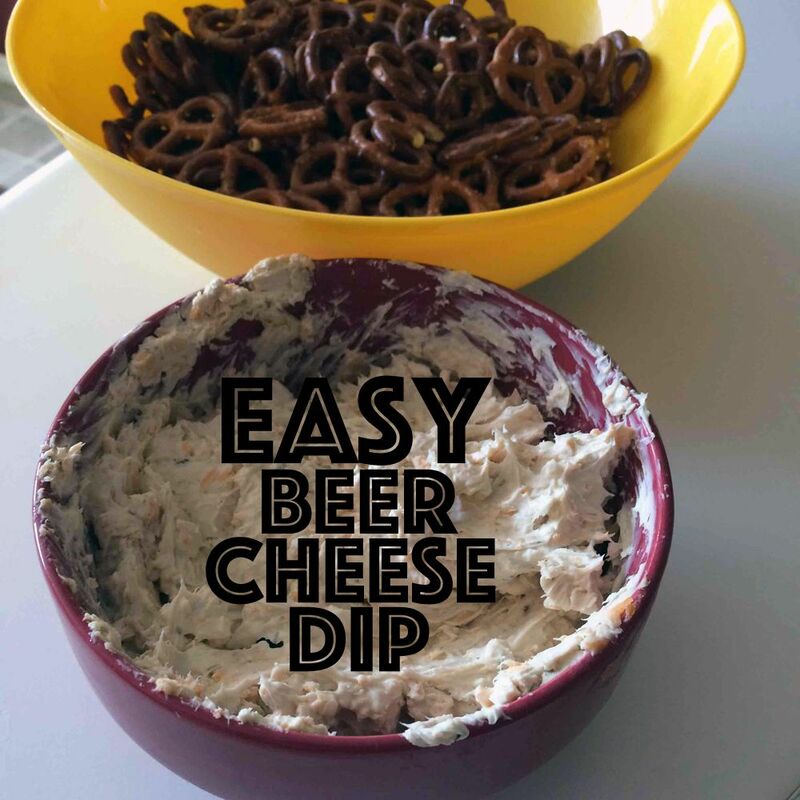 I decided to make it on New Year's Eve to coincide with my favorite beer cheese dip, and I LOVED it. I can't wait to make it again, but I definitely don't need a whole bowl of this to myself. 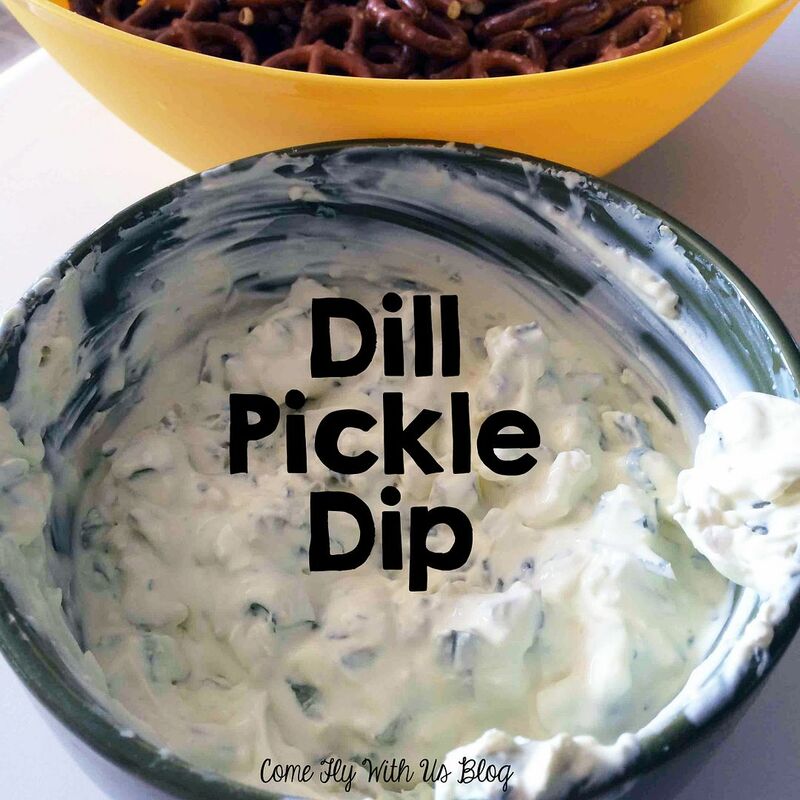 This dill pickle dip was SO easy to make, and it really hit the spot. If you don't like dill pickles, I'm sure you could use another kind (bread and butter or sweet gherkins). I personally love ALL pickles, so this was just perfect for me. Our friends gobbled it up on New Year's Eve, but I was super happy to have some leftovers for the following days. I served this with pretzels, but really, you could use crackers or chips too. 1. 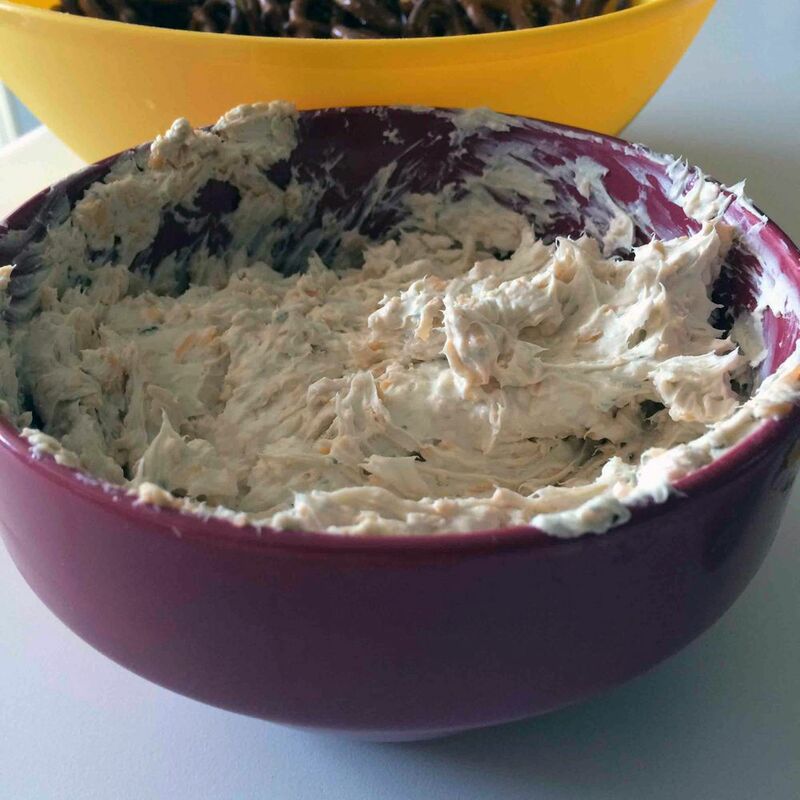 Combine the sour cream and cream cheese until smooth. 2. Add in the minced onion, salt, parsley, and pickles. 4. 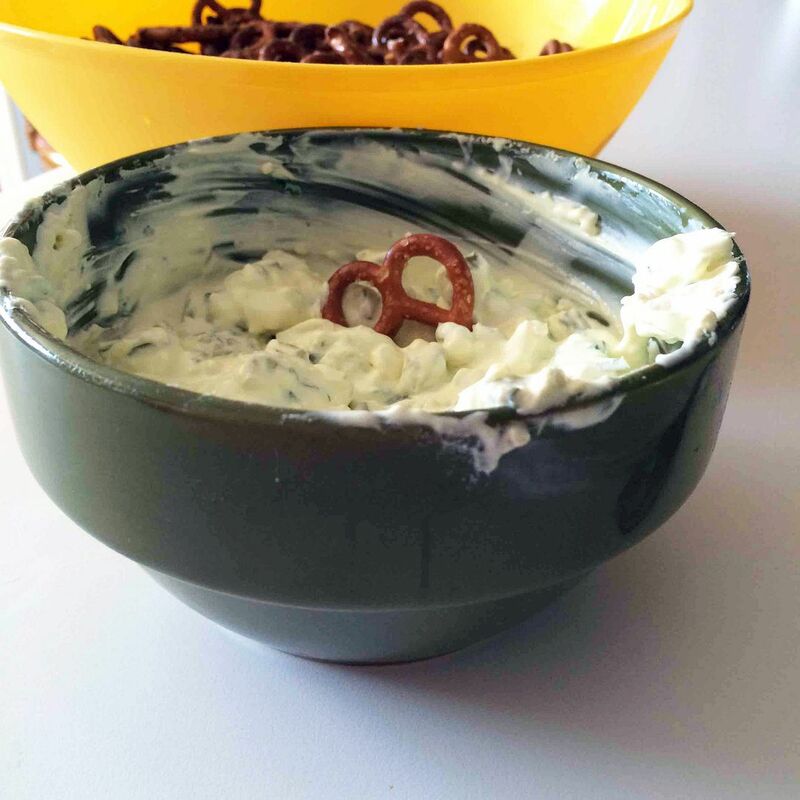 Serve with pretzels, crackers, chips, etc. 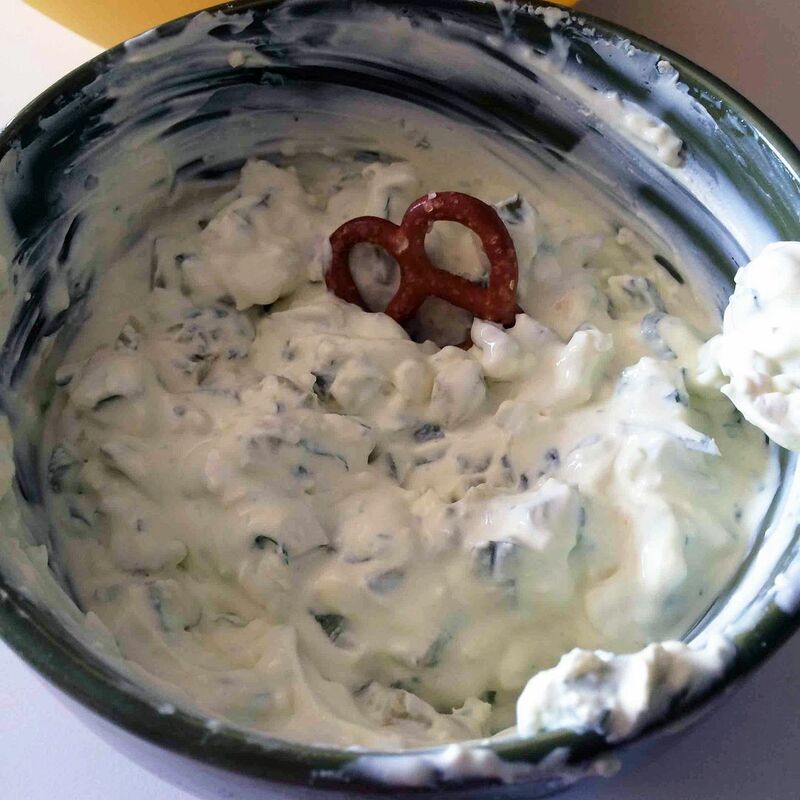 Do you make dips to snack on? 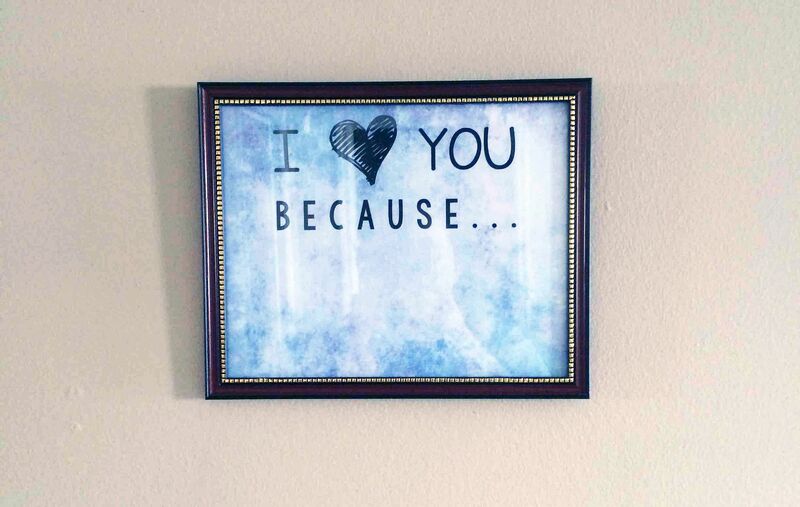 Have you ever seen those framed pictures that people have that they write on with dry erase markers? I have loved them for a while but never wanted to pay for one... so I finally made my own! I have a hard time making things for myself or for my own home because I feel like I'm constantly working on making things for other people through my Etsy shop. This one took five minutes from start to finish, though, and I feel great about it. You can easily make your own (even on Microsoft Word) by typing out your words and printing it on fun colored scrapbook paper... or you can DOWNLOAD mine for free and print it yourself. You can use any color dry erase marker (I think black works best, but I could only find blue in the moment). Your words simply wipe away with a paper towel or Kleenex, and it's so much fun leaving each other lovey-dovey messages in the morning for the other to see! 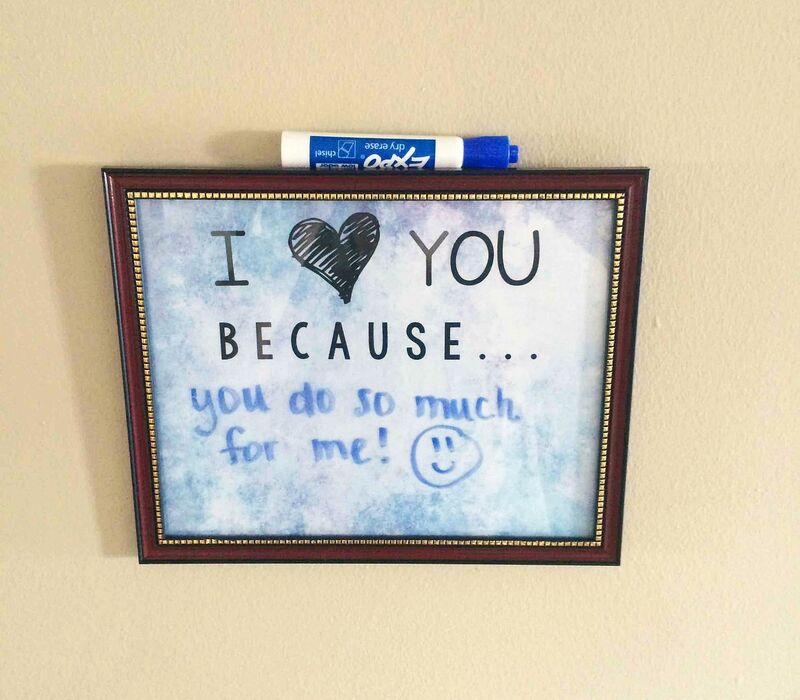 After the frame is hanging on your wall, you can even store a marker on top of it for convenience... because we all know I wouldn't be going out of my way to find a marker just to write a note... but if it's right there, why not? Remember, you can DOWNLOAD my template if you want - just print it out on 8.5x11 paper or cardstock and trim the white borders before placing it inside an 8x10 picture frame. Do you enjoy making new things to place in your home? 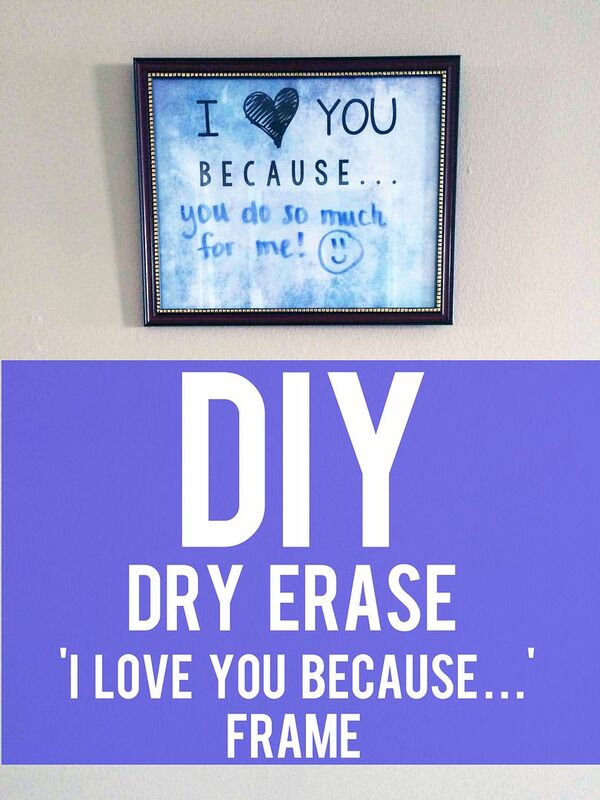 Do you often make Pinterest projects? A few months ago, I wrote a post about my awful joint pain that flares up from time to time. It was back last week in my left elbow, and it was miserable. 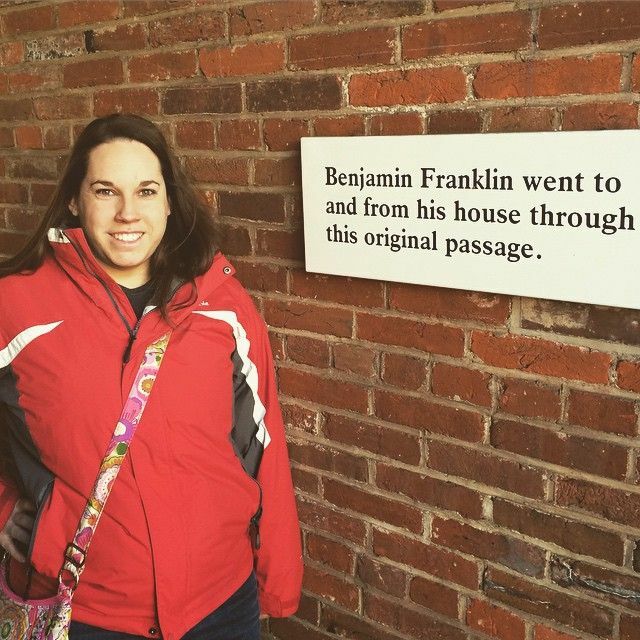 It was while we were visiting friends in Philadelphia, but my husband is awesome and helped me through it. There's no medicine I can take that makes it better, so it's really just a waiting game. We do think that it was for sure caused by an antibiotic in the 'flox' category, though. It's promising knowing where it came from, but.... unfortunately, there's nothing that can be done about it, so I may just be stuck with this crazy pain from time to time for... ever. On top of that, I had a crazy sinus infection and ear infection. Actually, I think I still do. I've been drinking all kinds of green juice and trying to pump my body full of nutrients. I'm using my Neti pot (nasal irrigation) once or twice a day to clear everything out. And yet, it got worse and worse until finally, it triggered my asthma to act up. On Saturday, I had a hard time breathing throughout much of the day. I kept using my nebulizer machine for albuterol breathing treatments, but ultimately, Dan took me to the ER around 9PM. 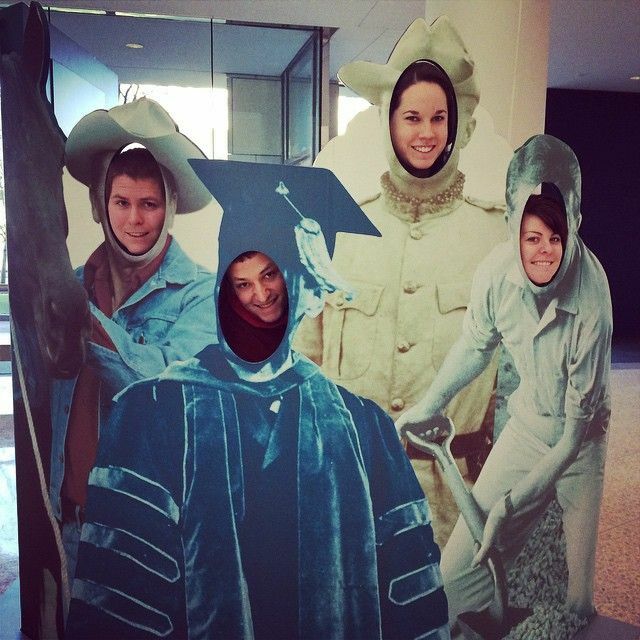 It wasn't fun, but they fixed me up quickly at Wright-Patterson AFB and sent me on my way home. It was like a miracle... except that as I write this (on Sunday evening), my chest tightness is back. I hate this, and I just want to feel better. 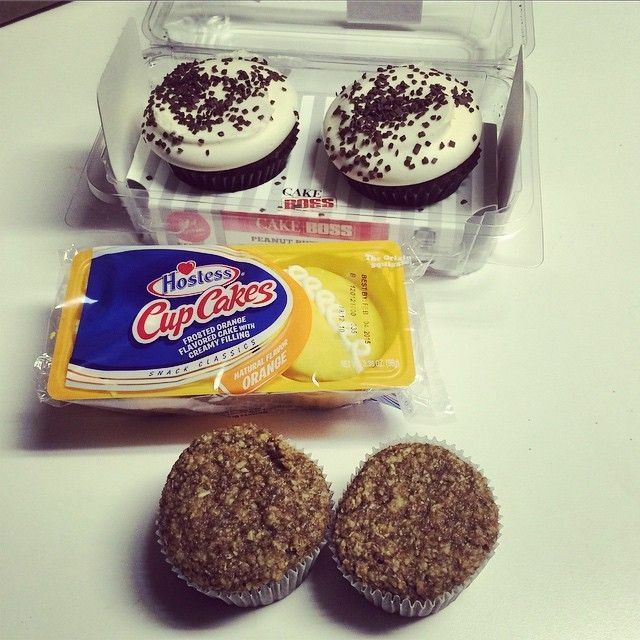 At least my husband cheers me up with cupcakes. It's all a girl can ask for, right? Sorry for ranting about this. I am not really posting this to ask for sympathy but moreso just to get it off my chest. If you're the praying type, I would appreciate some prayers to kick this nasty bug. It's Friday, and you know what that means! The weekend is almost here, and I have a recipe to share! 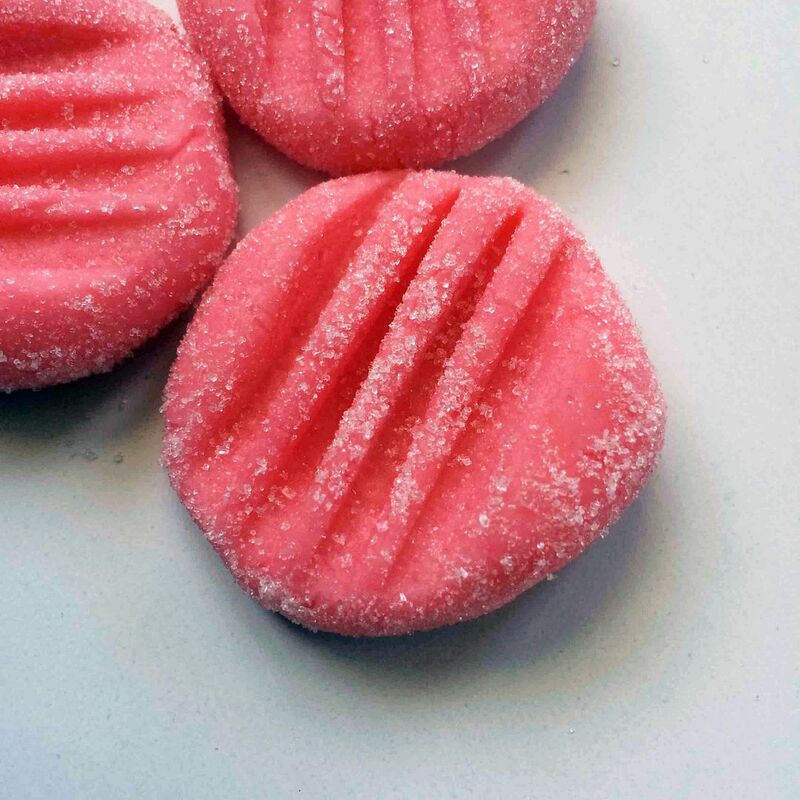 This week, I'm posting about the super easy soft candies I made for Christmas. They were a pretty big hit (though not quite as popular as all of my truffles, but those deserve a post of their own later on). You may be thinking... "You made those for Christmas? They look like they're for Easter!" And you're right. They do. 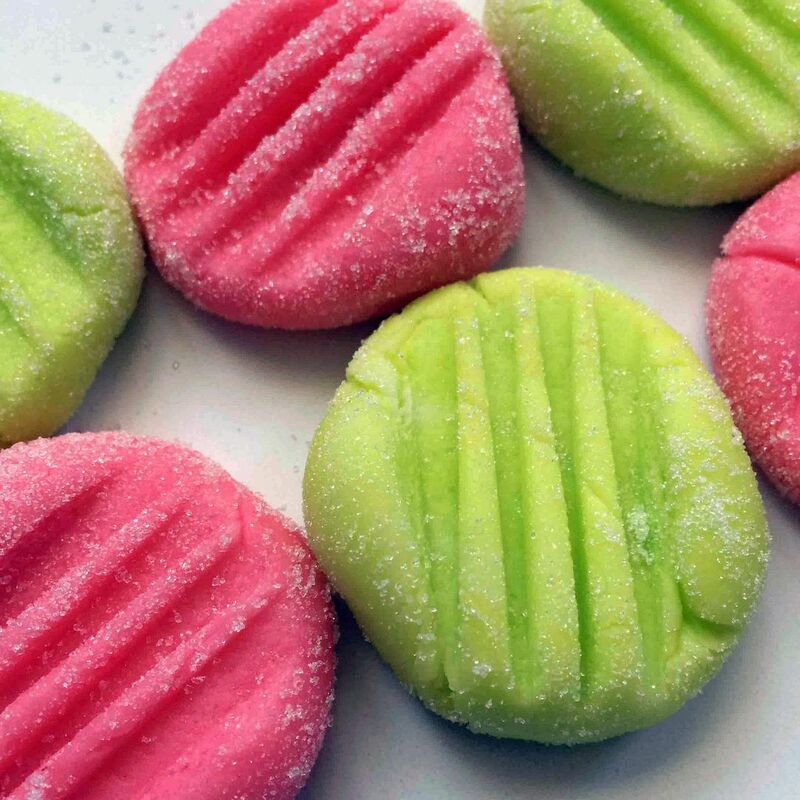 I did NOT use enough food coloring, so mine turned out pink and lime instead of red and green... but you know what? These colors are prettier anyway, and since you're in control of how much food coloring you use, you can make these look ANY way you want! 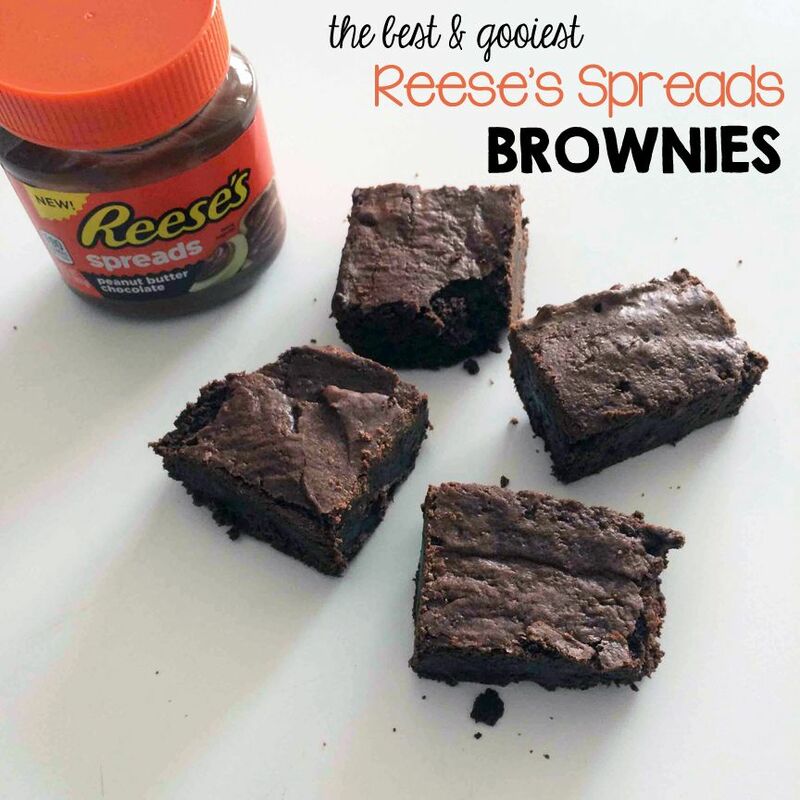 You can also make these in ANY flavor you want, which is amazing. If you don't like the kinds I made... then simply don't make them. Use any flavoring, extract, or oil you like! 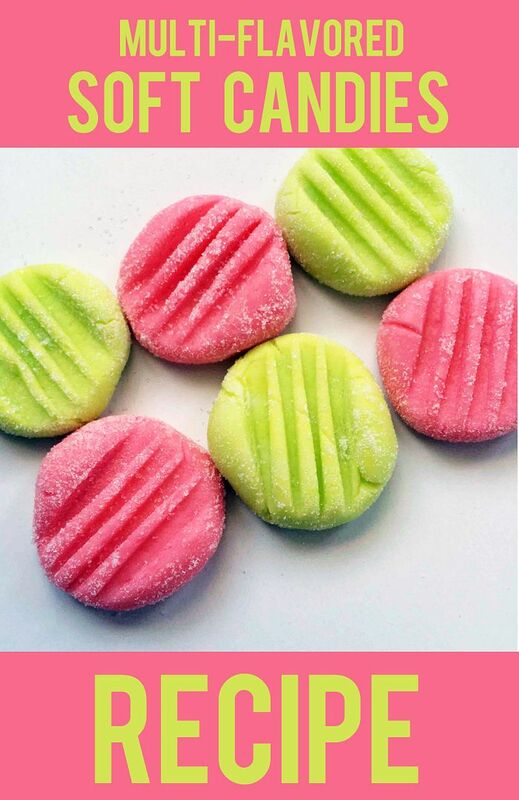 Mine are cherry and lime... but I think I'll try raspberry next time I need a red or pink one. I can see myself making raspberry, almond, and blueberry for red, white, and blue on the 4th of July... or lemon yellow and tangerine orange ones for Easter. The possibilities are endless, and these are so easy that you can whip them up for each holiday, and they'll always be different! 1. Combine butter and corn syrup together in a bowl. 2. Add 2 cups of powdered sugar and your choice of flavor. 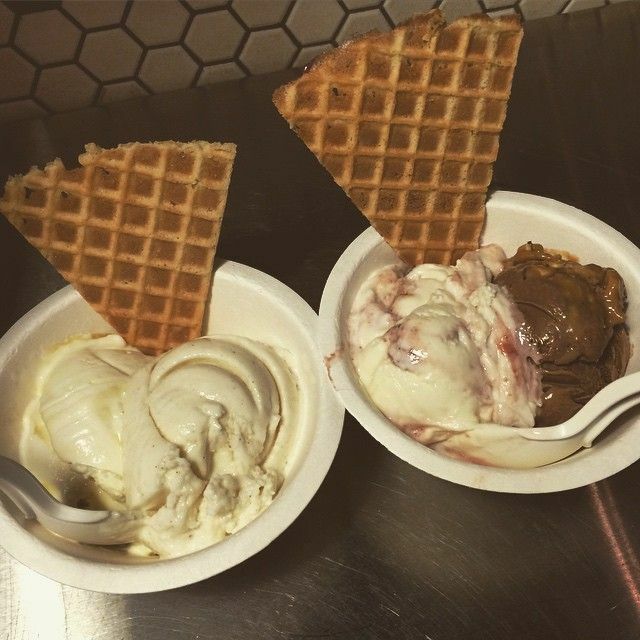 (Remember to split into separate bowls if you are making more than one flavor). 3. Stir in an additional 1 cup of powdered sugar. 4. Add 1/2 cup powdered sugar to a cutting board, and spread dough onto that. 5. Knead the dough until the sugar is incorporated in and smooth, adding more powdered sugar if needed. 6. 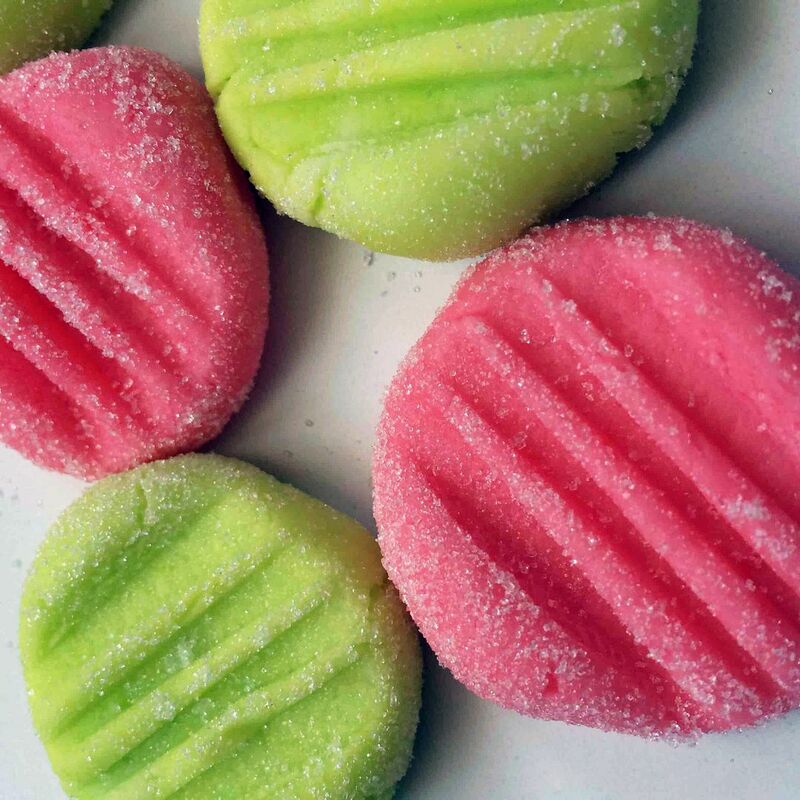 Add food coloring until it reaches your desired color. 7. Roll into 3/4 inch balls. 8. Roll in granulated sugar. 10. Let sit, uncovered and at room temperature, for one day. 11. Store in a tupperware container. 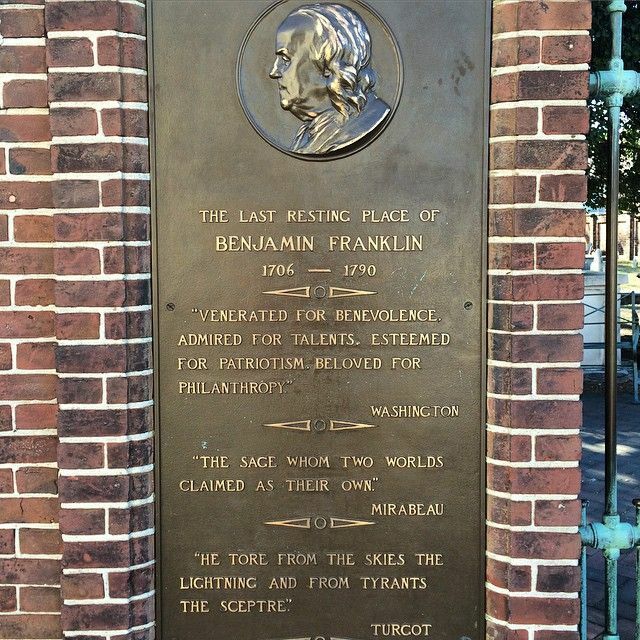 My husband and I both have good friends who live near Philadelphia. We visited them in 2013 over Christmas break, so we thought it was time to head that way again, especially since we live closer now. Our flight was only an hour long! How amazing is that?! 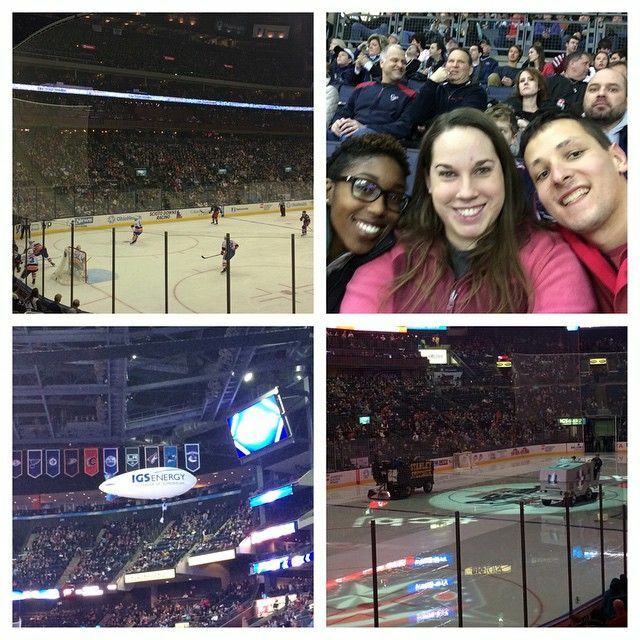 We hung out with Michelle, my best friend from college, and her husband Matt on Friday night and Saturday. Then, we headed to Dan's best friend since 5th grade, Lydia's place with her fiancée Cait. We had a lot of fun with them both, but we somehow managed to only take pictures on Saturday. Oops. I had a sinus infection (and what I think is an ear infection as well) while we were gone, and that was no fun. I also lost my voice completely for the first time ever, and it's still not back. I hate that so much. I managed to have fun anyway, but sleeping in my own bed was fabulous. And then some more on my couch. Sleep is definitely what I needed. Anyway, onto the pictures of our weekend! 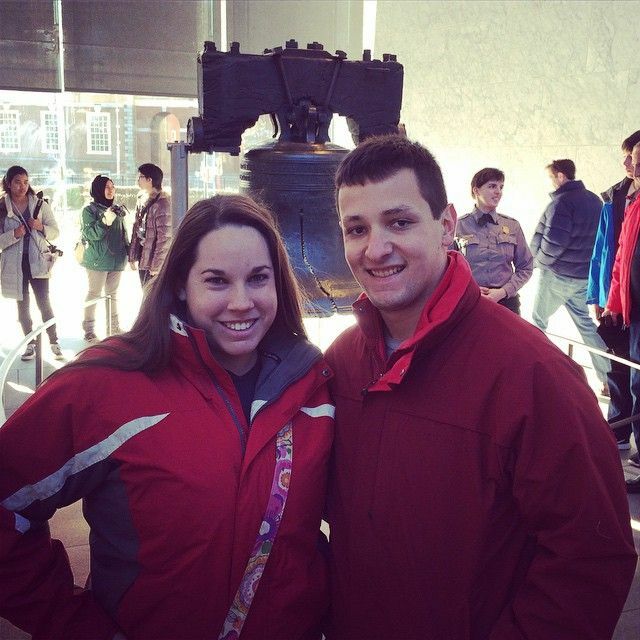 First stop: Liberty Bell and all of its cracked gloriousness! See? Told ya it was his birthday! 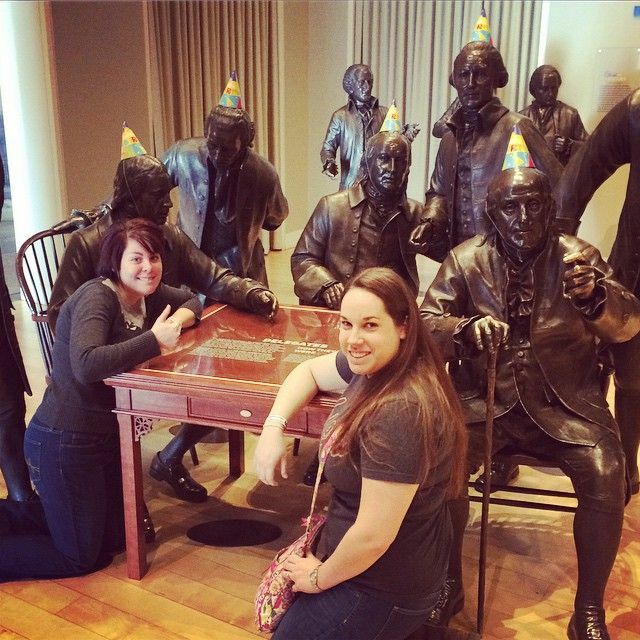 We celebrated at the National Constitution Center! And then we posed as presidents... not very well. The trip was quick, but we had fun... and we're definitely happy to be home with our three little furballs! How did you spend your three day weekend if you had one? 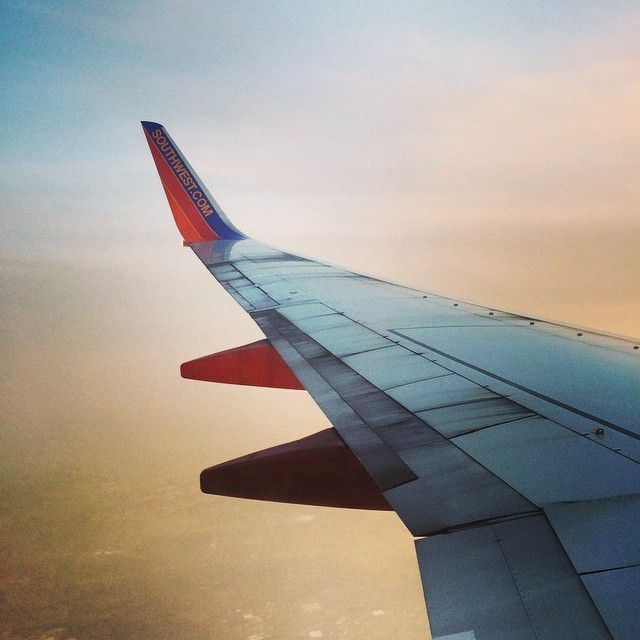 What's your go-to quick destination? 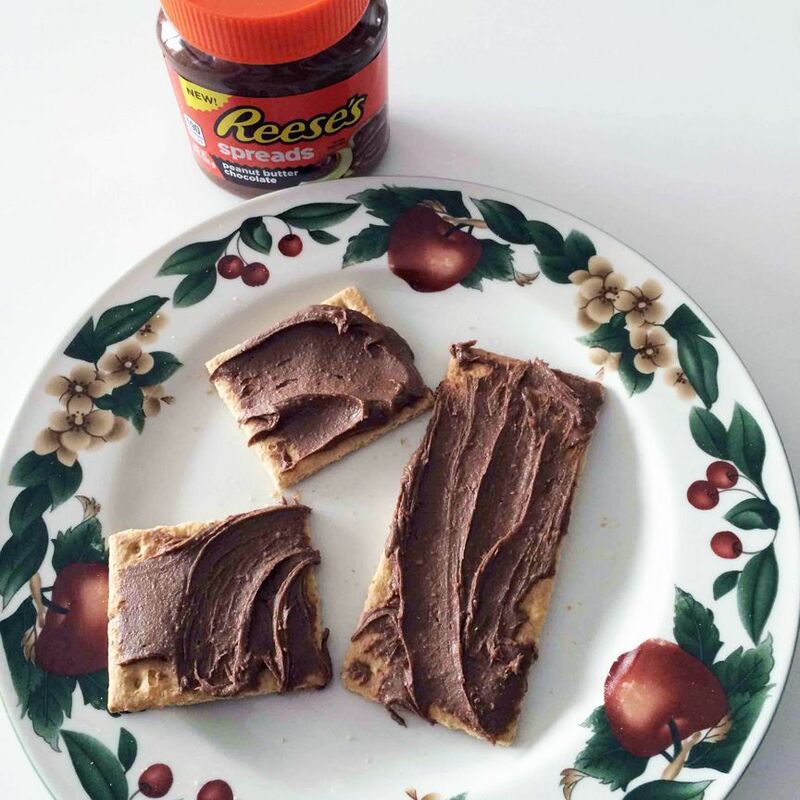 For my weekly installation of Food Friday, I bring you something you'll want to make THIS WEEKEND. Seriously... they were so good. 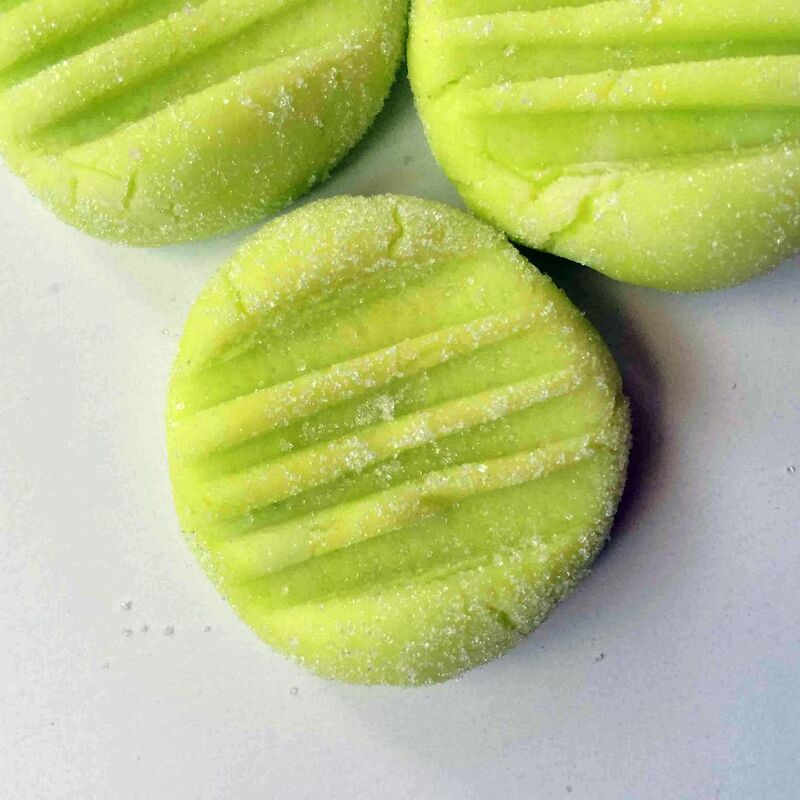 I made a batch of these bad boys while my husband and I were watching the movie "The Right Stuff" (which I also highly recommend), and once they were done, we couldn't stop eating them. 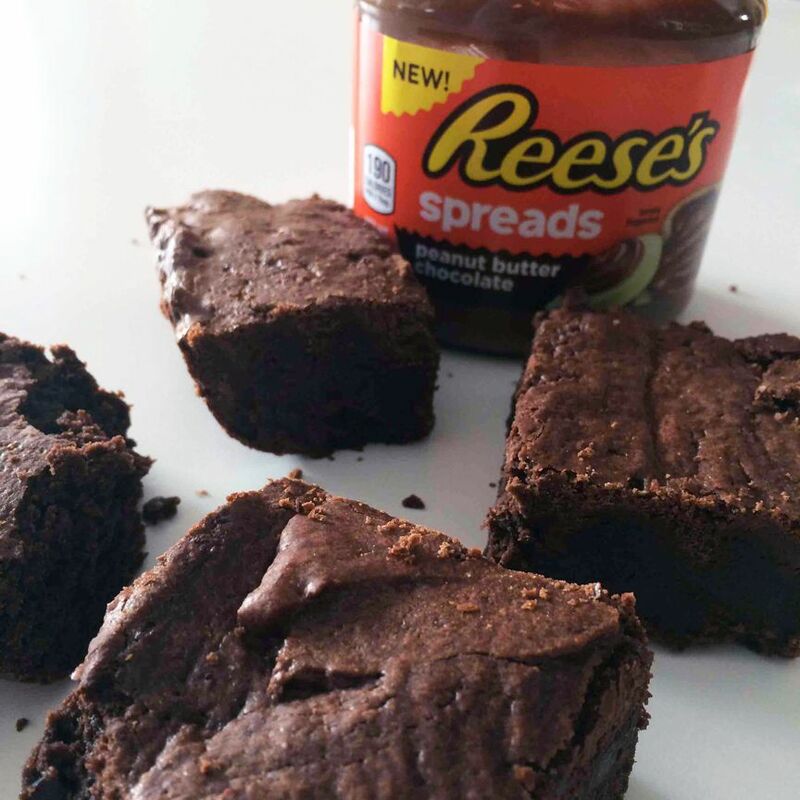 I present to you: Reese's Spreads Brownies. 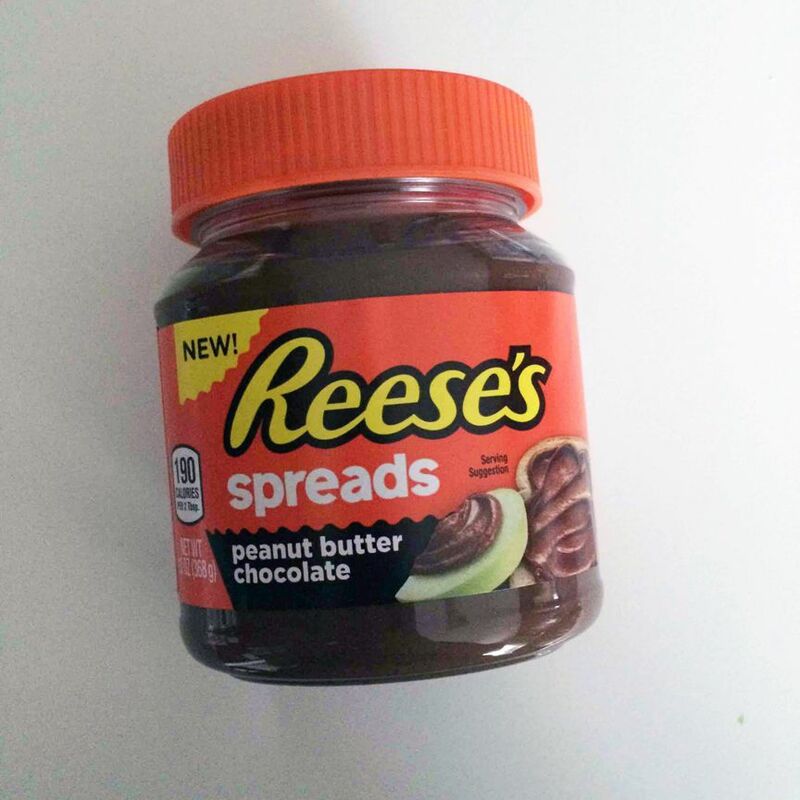 I had never heard of the brand spankin' new Reese's Spreads until I signed up for Influenster in December. 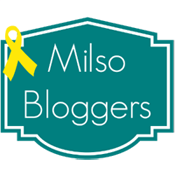 I had seen a lot of other bloggers posting about receiving cool things, so I thought, "what the heck? I'll give it a try!" I filled out my surveys and stayed active on the website, writing reviews for products I already use. And then I got the e-mail saying I had been chosen to receive a VoxBox. 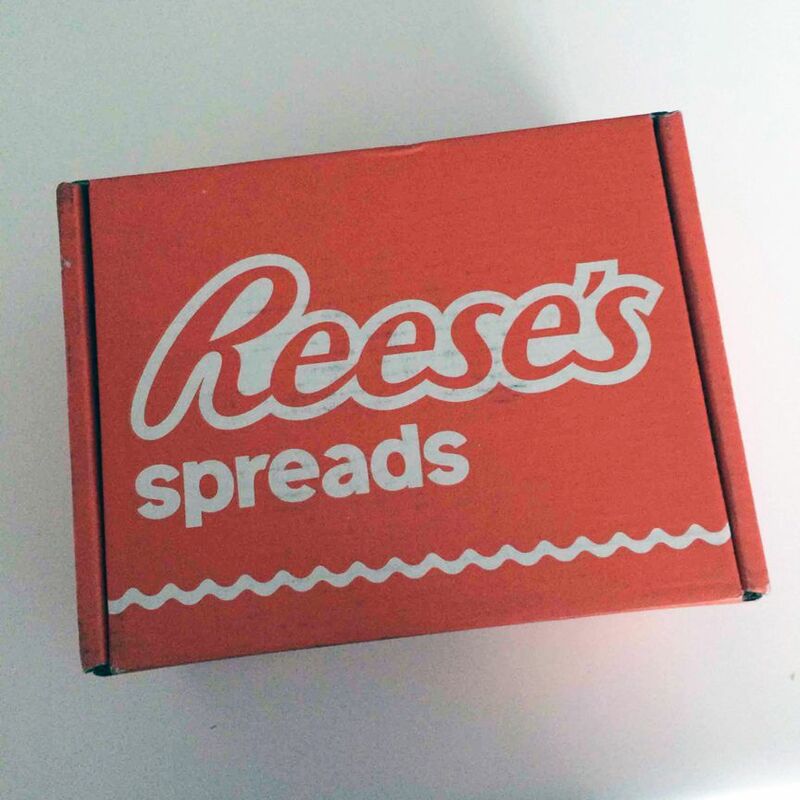 I was stoked because it told me what would be inside... a new spread from Reese's! I LOVE chocolate and peanut butter together... like LOVE it. Obsessed. But I knew it wouldn't be arriving until we got back in town from our winter break trip, so I tried to be patient. And then it arrived... that beautiful orange box full of goodness. At first, I wasn't sure what I wanted to do with my new product. I decided to spread it on graham crackers because I had some in the cabinet and wasn't really feeling the whole apple thing at the moment. 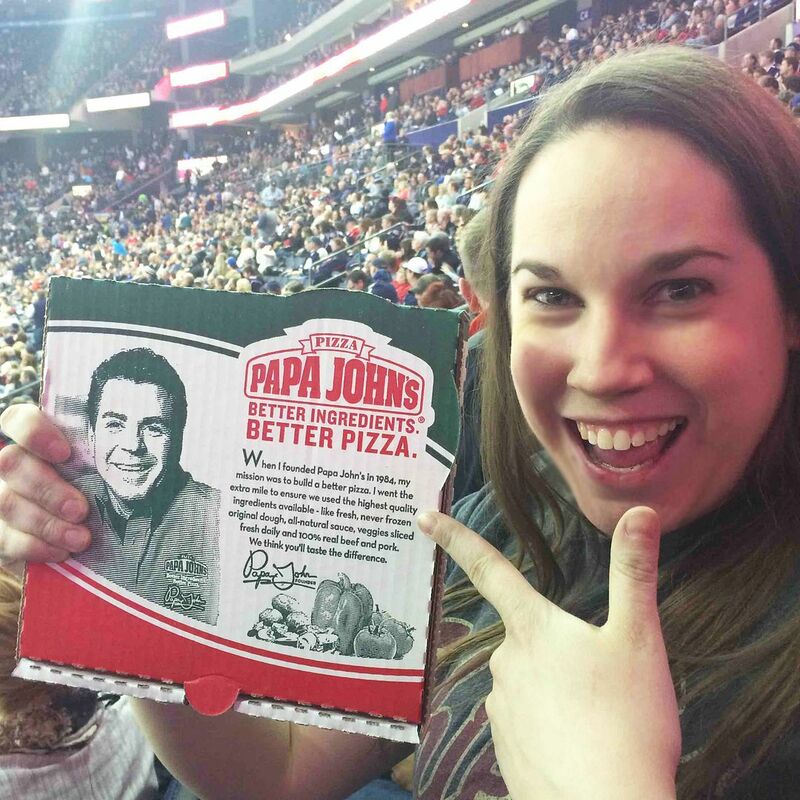 Let me just say: it was delicious. It smells (and tastes) JUST like a Reese's Peanut Butter Cup, and the consistency is similar to Nutella... only far, far better. Despite how amazing this concoction was, I wanted something more. This is where my husband gets credit - he really pushed me to try making something more unique with the product. I think he really just had a hankering for some of my baking, but that's another story. I decided on brownies, and I am SO glad I did. 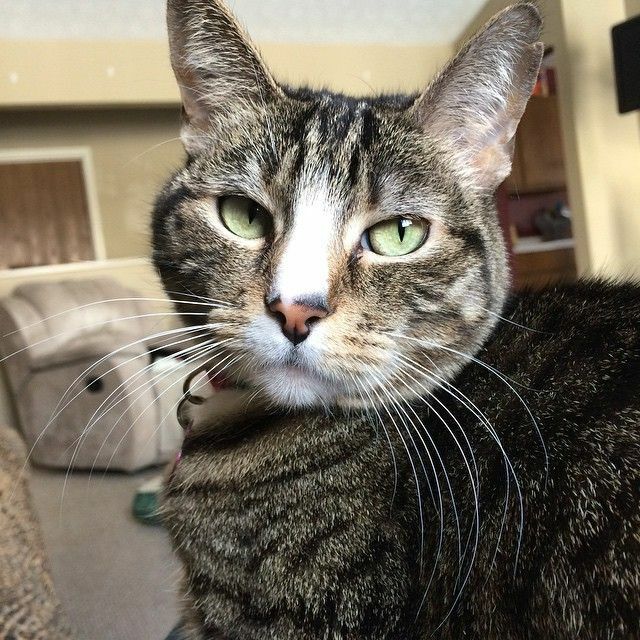 I am here to share the recipe with you today. You can find it at the bottom of this post. 1. Preheat oven to 350º, and butter a 9x13 pan. 2. In a saucepan over low heat, melt butter completely. 3. Stir in sugar, and continue cooking for 2 minutes, stirring constantly. DO NOT ALLOW TO BOIL. 4. 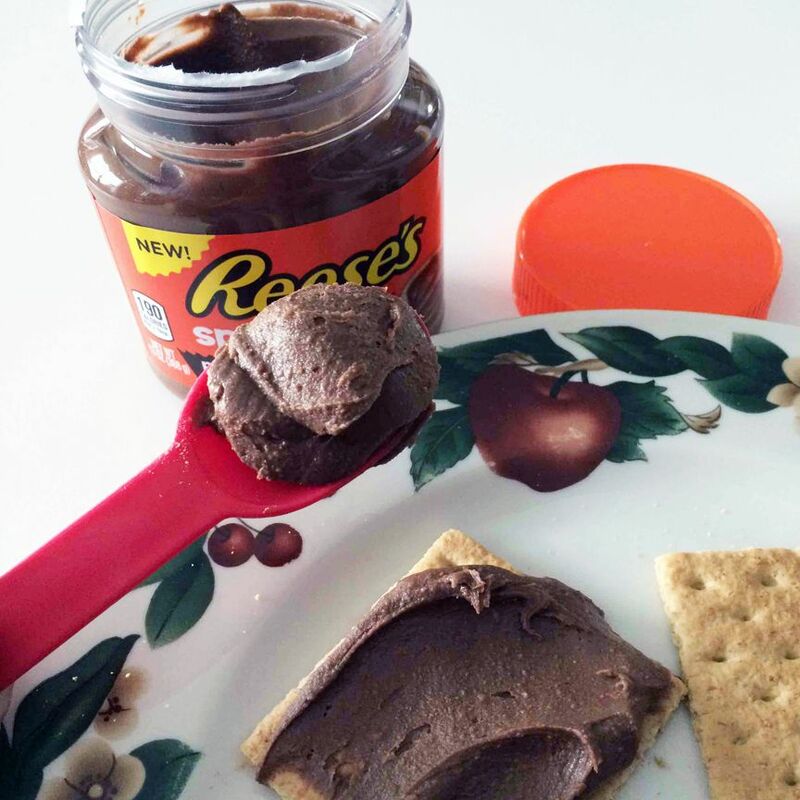 Remove from heat, and stir in the Reese's Spread until well combined. 5. Pour mixture into large bowl or stand mixer. 6. 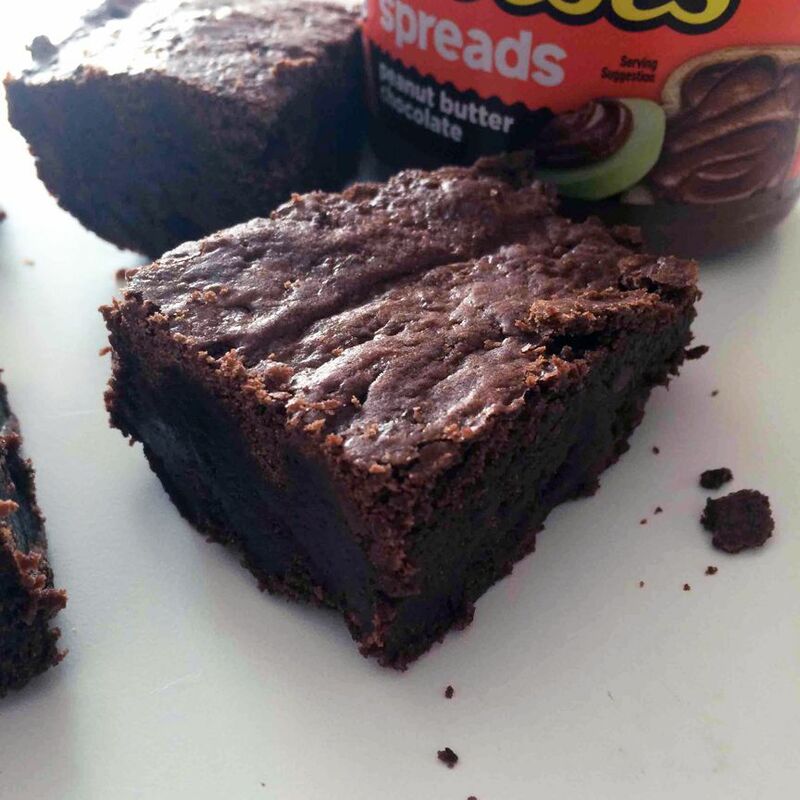 Beat in cocoa powder, eggs, salt, baking powder, and vanilla extract until well combined. 7. Stir in flour and chocolate (or PB) chips until JUST combined. 8. Spread into prepared pan. Batter will be sticky. 9. Bake for 30-35 minutes - until a toothpick comes out clean. 10. Cool on wire rack for as long as possible before devouring! 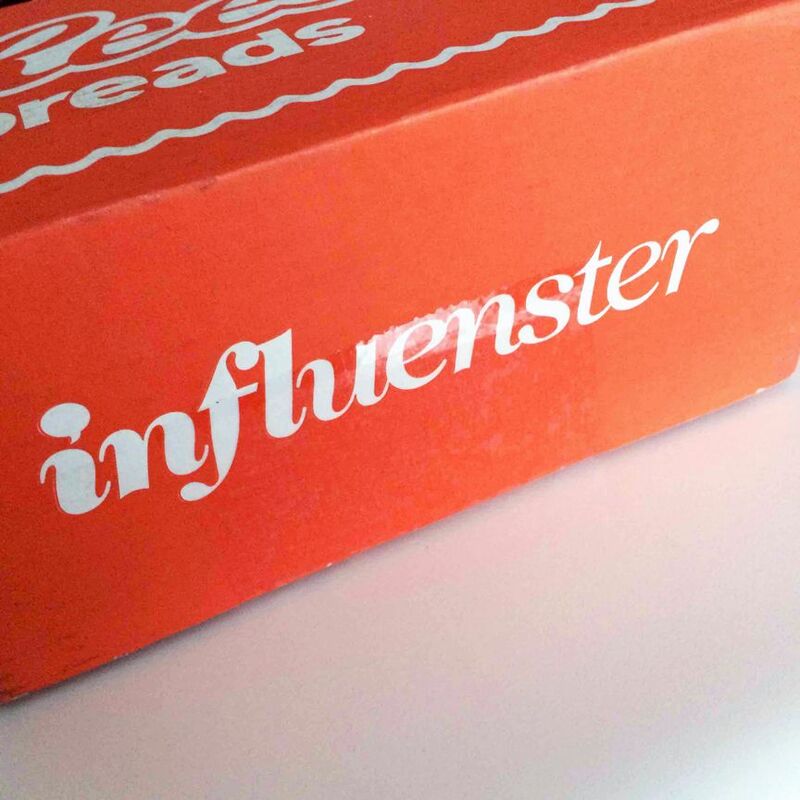 I received a free tub of Reese's Spreads from Influenster in exchange for my honest review. 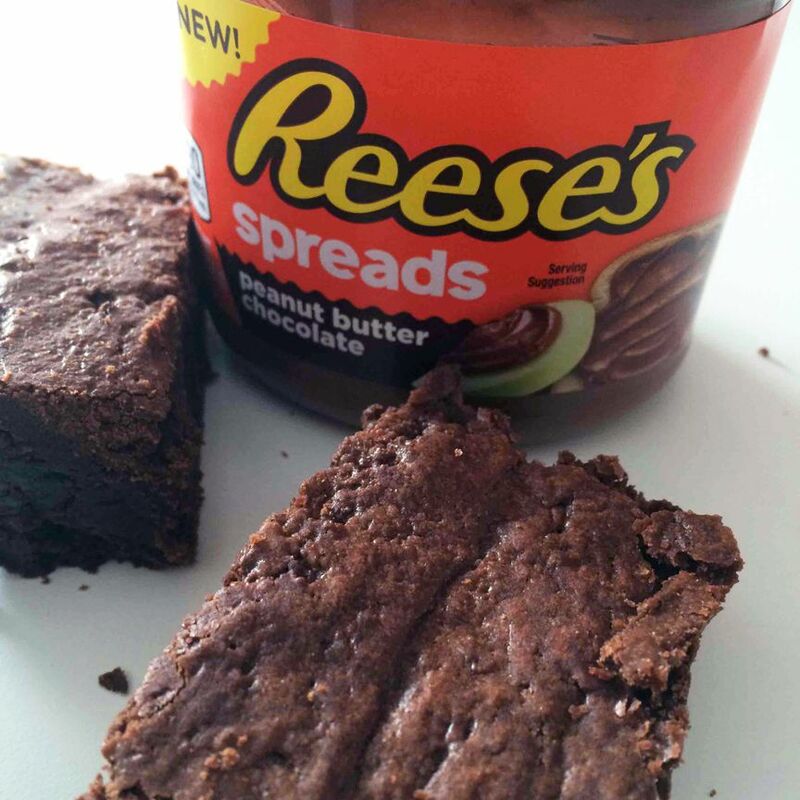 Have you tried Reese's Spreads yet? Do you like brownies as much as I do? I don't know about you all, but where I live, it is COLD. The windchill here in Ohio was -26 last week. Seriously. This is on the verge of being colder than Colorado, for crying out loud. At least in Colorado, we had the gorgeous mountains to look at - which were so nice covered in snow. Here, it's just cold. And it's a wet cold, so it feels even worse. And I totally wasn't expecting it for whatever reason. 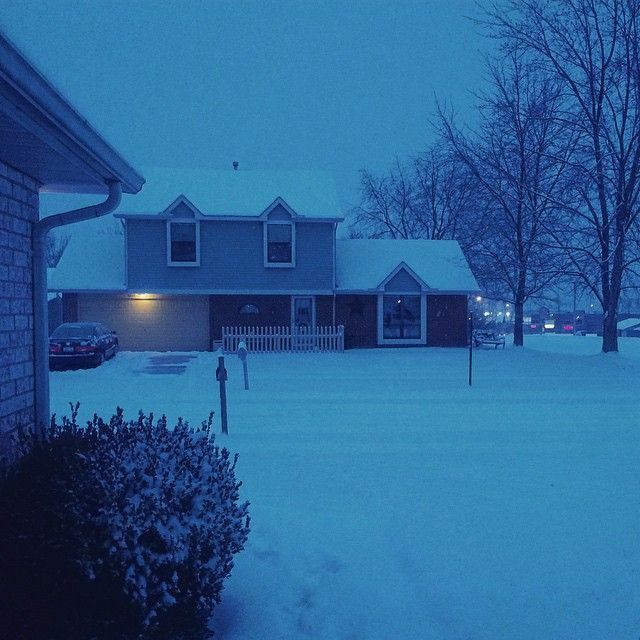 We got a decent amount of snow last week (about 4-5 inches), and my husband's classes were even canceled for a day. We had fun trying to stay warm together and even enjoyed a pizza buffet. I love that he has a big truck with four wheel drive - we can do anything! And overnight tonight, it's supposed to sleet and freeze over. I'm glad I don't have too much going on this week. You'll catch me all bundled up inside with the three fur-babies. It takes a lot for me to get cold (yes, I'm one of THOSE people)... but this weather has even gotten to this winter-loving lady! The fresh snow was SO pretty first thing in the morning! Love it! 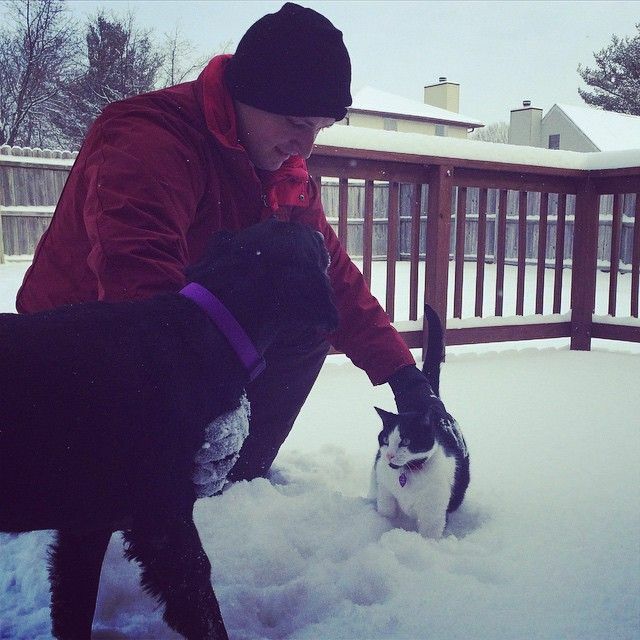 Dan took Smudge out to play in the snow... and Gilligan was jealous. He kept meowing loudly and scraping the window/door with his paws... so we decided to let him out too. He wasn't a huge fan and hasn't begged to go back outside since. Stormy is much smarter and enjoys watching it from the inside instead. How cold is *too cold* for you? Food Friday is back for week two! 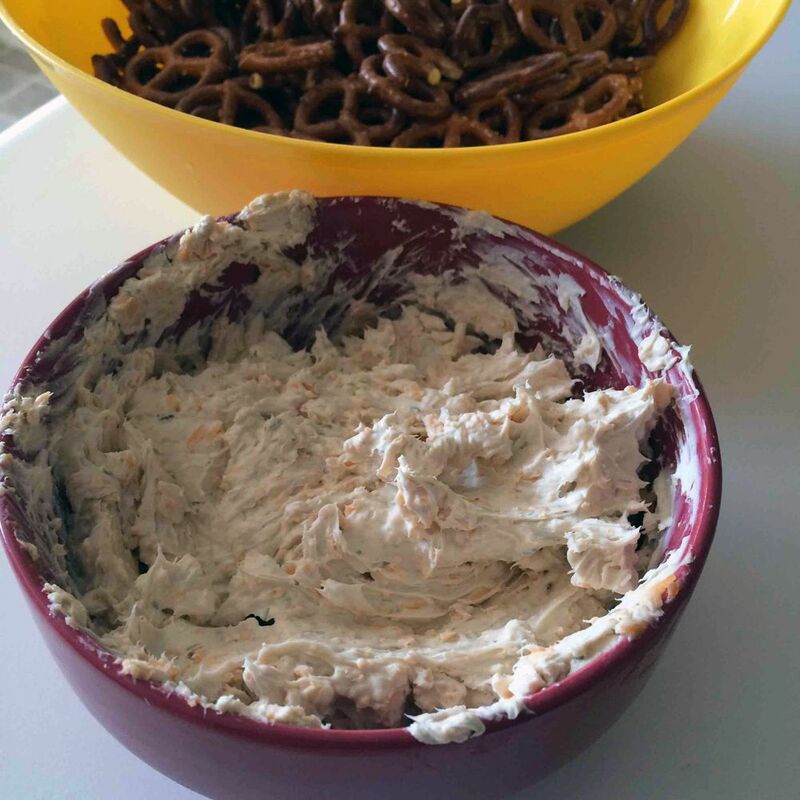 This week, I have a very simple dip for you that I served at Dan's 25th birthday party last year and again on New Year's Eve this year. It's always a big hit. 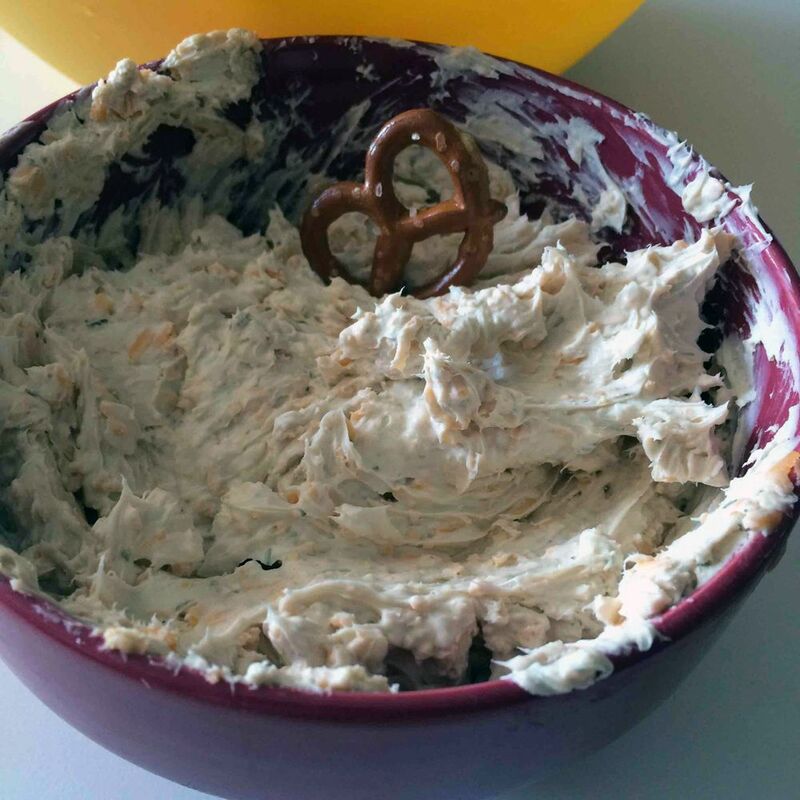 I highly recommend making this dip if you have people coming over. 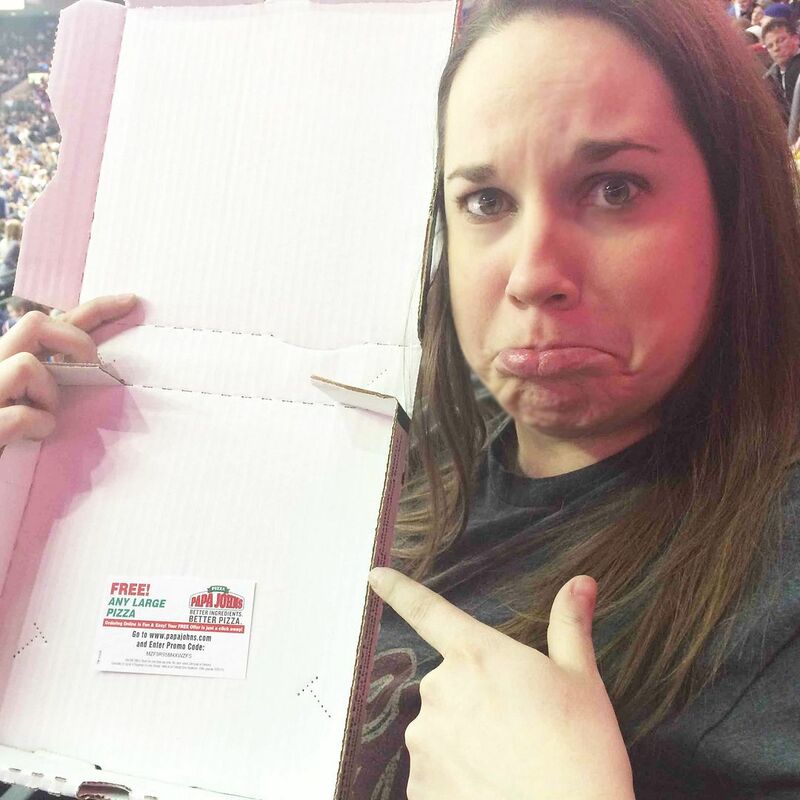 The ingredients are minimal, so it's not bad to put together, and I have never heard of a person who didn't enjoy it. It's really salty, so beware: have cold beer on hand too! This stuff is seriously so addicting. 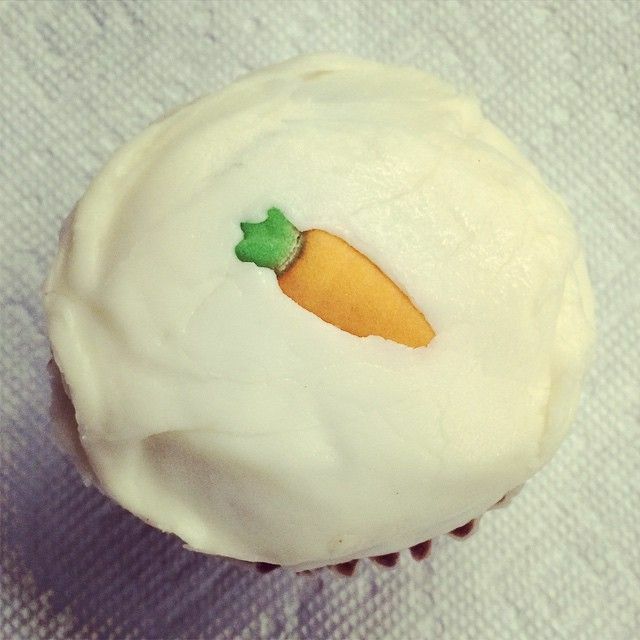 You can't have just one bite. You'll keep reaching for more pretzels and going back for more. 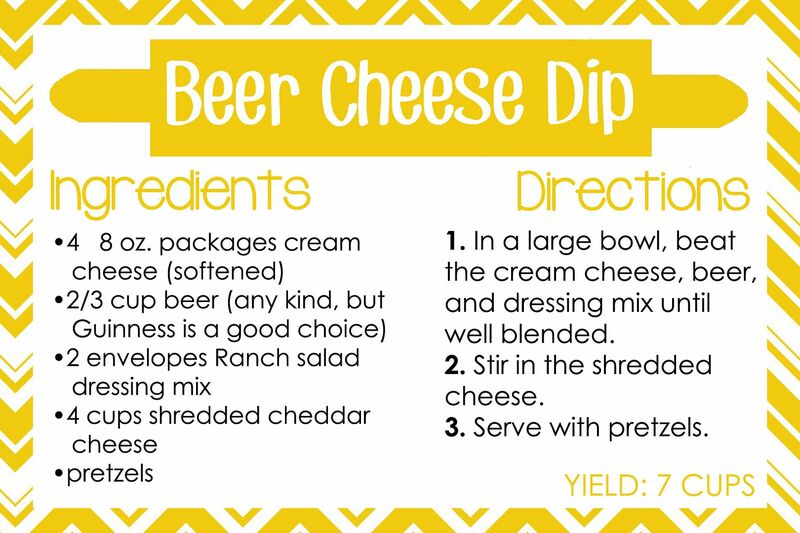 This would also be great with crackers or bread (beer bread would be amazing) if you don't like pretzels or have any on hand. Here's the recipe - so simple! To save the recipe, just click on the image, and then right click to save the recipe card. It is 4x6 inches, and if you print it on cardstock, you can add it right in with the rest of your recipe cards. Have you ever made a version of this? Do you like putting beer in food? 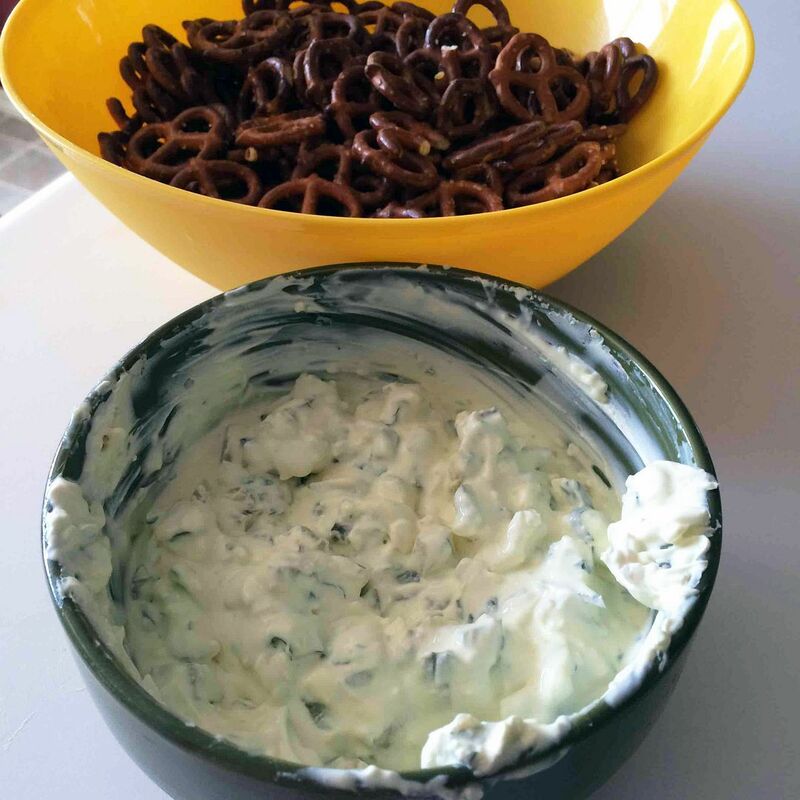 What's your go-to party dip?